Atlanta criminal defense attorney Bubba Head has been specializing in defending citizens charged with DUI in Georgia since 1976. A drunk driving book author since 1991, Mr. Head now has two law partners, Cory Yager and Larry Kohn, who are as dedicated as him, to finding ways to beat a DUI charge in Georgia. With about 80% of their business focused on DUI and reckless driving, these top DUI lawyers in Atlanta travel to ANY Georgia county or city to defend their clients accused of drunk driving. We are routinely called upon to handle vehicular homicide Georgia or serious bodily injury cases that are the result of drugged driving or drunk driving, and defend against a serious injury by vehicle GA felony DUI prosecution. Bubba Head, criminal defense attorney Atlanta, also handles felony or misdemeanor criminal cases across the State, but most of our criminal cases in GA involve alcohol or drugs, in some way. Georgia laws determine whether an offense is felony vs misdemeanor, but our lawyers in Atlanta handle all types of criminal law violations, whether in Atlanta Traffic Court or in the Supreme Court of Georgia. With more GSP Nighthawks working, DUI lawyers in Atlanta are defending thousands of DUI offenses annually. Although driving while impaired (DUI) is a part of “criminal defense” practice, the special forensic science knowledge and trial skills needed by your DUI lawyer in Atlanta significantly differs from the average Atlanta criminal defense attorney. Other DUI laws in GA call for felony DUI status, like a 4th DUI in 10 years, creating multiple DUI cases from ONE driving incident, and when DUI child endangerment charges are brought, due to having children under age 14 in the drunk driver’s vehicle when arrested. About 75% of our driving under the influence cases are first offense DUI cases, and another 15% are for a 2nd DUI in GA. When DUI accidents occur, the determination of whether a felony DUI or misdemeanor DUI will be charged depends on whether any serious bodily injury has resulted to another person, or whether a fatality is involved. That is when vehicular homicide GA or a serious injury DUI felony is likely to be accused. All three partners are skilled in DUI death cases and those involving serious bodily injury. With a career spanning more than four decades, William Head has handled thousands of DUI cases in Georgia since 1990. The Atlanta Municipal Court is the place where Mr. Head has handled the highest number of drunk driving cases, making him one of the best DUI lawyers available. Prior to that date, he was an Athens GA DUI lawyer for 14 years, after graduating from the University of Georgia School of Law. Mr. Head also graduated in 1976 from undergraduate school, with honors, at the University of Georgia in 1973 before obtaining his law degree at the UGA School of Law. Both then and now, Mr. Head handles drunk driving defense cases in Athens Municipal Court and the State Court of Athens-Clarke County, GA. He also has handled felony serious injury by vehicle GA cases in Superior Court of Clarke County for decades. 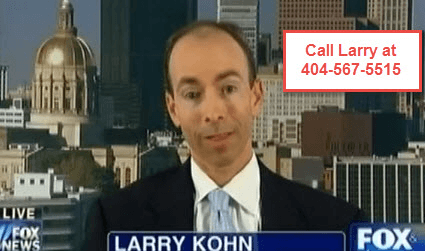 In 1996, Bubba Head met and hired Larry Kohn, who was then a law student at Georgia State University College of Law. Larry has stayed with Mr. Head since then and has been his law partner for over 15 years. He has been a NHTSA Field Sobriety Test Instructor since 1999, and has handled over 4000 DUI cases. Larry has won many DUI and reckless driving cases over two decades, and is a 2017 Super Lawyer. In 2016, he was asked to write a chapter on illegal searches and seizures in warrantless police traffic arrests, for a national DUI lawyer book focused on drunk driving trial practice. In 1997, Mr. Head met Cory Yager, who was a DUI and traffic cop in Cobb County GA. Later, in 2003, Cory changed police departments and went to work for Roswell Police Department so he could attend law school. Throughout his police career in Georgia, Mr. Yager made over 1000 DUI arrests, was a trainer (field training officer), and is a NHTSA Instructor for Standardized Field Sobriety Test administration. In 2016, Cory Yager was tapped to be an author on a chapter about preparing witnesses for trial in a DUI case, for a national legal publisher. Mr. Yager later completed his law school training by being the graduate with the second highest grade point average at Atlanta’s John Marshall Law School, while working full time as a Roswell Police Officer. When he passed the Georgia Bar, Cory immediately was invited to work as an associate with William C. Head, PC. For the last three years, he has been a partner with Mr. Head, after being named a Rising Star by Super Lawyers since 2012 (now achieving 6 consecutive years of recognition). To have the best chance to win, you start with finding the best DUI lawyer in Atlanta – Bubba Head. 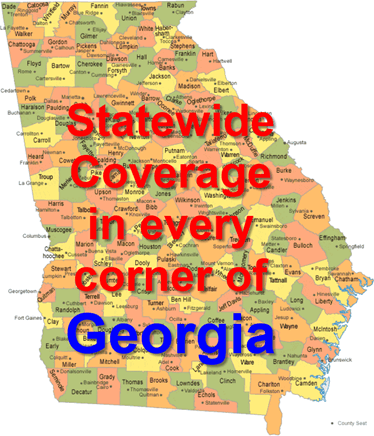 You can make this assessment for yourself by comparing credentials and accomplishments of all Georgia attorneys, and you will see that William C. Head is unsurpassed in his achievements as a DUI attorney. Mr. Head has represented nearly 100 media celebrities, sports figures, and politicians in Atlanta courts in his 41-year career. He also represents first DUI clients, but he treats all his clients the same – like family. Mr. Head works 7 days a week, and he and his two law partners will be there for you when you need them the most. Thanks to his consistent success in the courtroom, Mr. Head is recognized by colleagues and peers as one of the leading DUI defense attorneys in the State. One of these awards, from the National College for DUI Defense in 2003, is the only recognition by that national group for any DUI attorney being named as the Best DUI Lawyer in America. Mr. Head is a member of the State Bar of Georgia and the National College for DUI Defense. He also co-founded and currently belongs to Georgia Defense of Drinking Drivers, an invitation-only organization for Georgia DUI defense attorneys. Mr. Head has penned numerous articles on DUI defense, and is a regular speaker on the topic of DUI defense in over 35 states and several foreign countries. For immediate legal help, schedule a free case evaluation with Atlanta lawyer Bubba Head today by filling out our online form. Your seminar last weekend (March 3-4, 2017) was the best DUI Seminar I have ever had the pleasure of attending. You did an outstanding job of putting the seminar, speakers and material together. Well done. What a great and most informative time was had by all during the last couple of days! (March 3-4, 2017). It was most appreciated by all in attendance.